I know I had Baby Cookie over a week ago... but I am NOT the type of person who can just end incompletely or on an odd number of weeks. Nope. 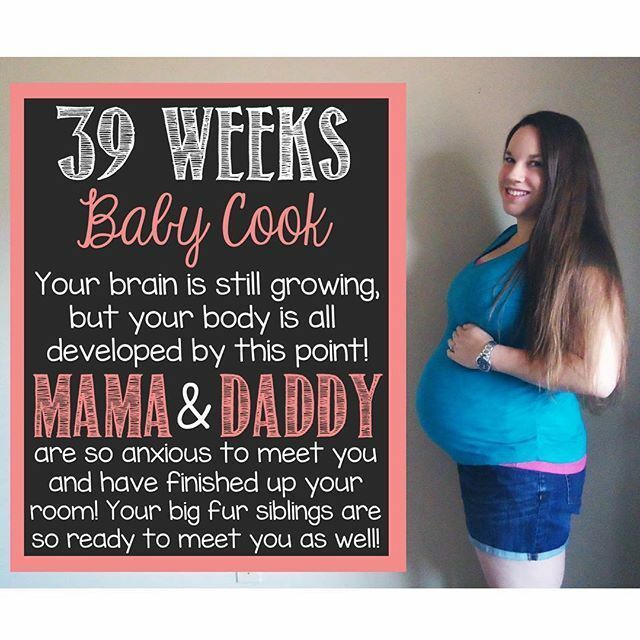 So that's why you're reading today's post - I didn't want to leave off at 39 weeks. 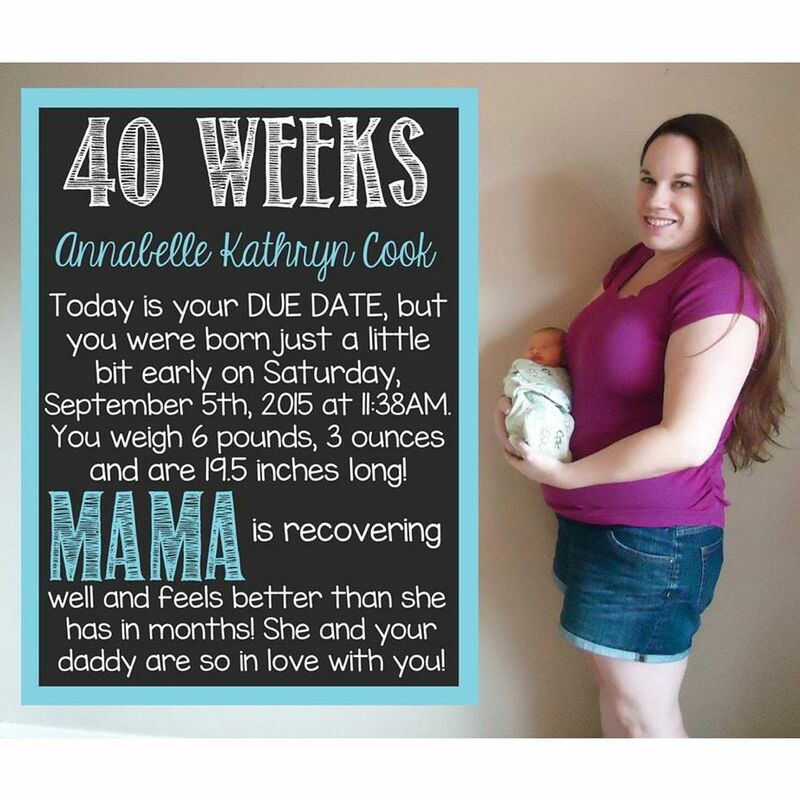 Plus, it was super special taking my 40 week photo with Annabelle on the outside rather than on the inside. If you missed my previous bumpdates, you can check out weeks 5-12 here, weeks 13-14 here, weeks 15-16 here, weeks 17-18 here, weeks 19-20 here, weeks 21-22 here, weeks 23-24 here, weeks 25-26 here, weeks 27-28 here, weeks 29-30 here, weeks 31-32 here, and weeks 33-34 here, weeks 35-36 here, and weeks 37-38 here! Total weight gain? I ended up gaining 13 pounds total. Somehow, I have already lost 18 pounds... not sure where the other five came from or went, but hey... I won't complain! Work outs? We went for a family walk the other night, but other than walking, I'm taking it easy until I'm cleared by my doctors... I don't want to worsen the recovery period. Cravings? Not really anymore! But hey - vegetables sound good again!! That's a bonus. Salad is delicious... one of my favorites... and I couldn't stomach them while pregnant. Best moment of this week? The moment we met our sweet little Annabelle - the feeling when they placed her on my chest after delivery (although it was a short time due to her complications) is indescribable. I was so overcome with emotion in that moment. Worst moment of this week? 37.5 hours of active labor with Pitocin... yeah... worst moment of the year, not just the week. That was rough. Looking forward to? Bonding with and watching Annabelle grow! Aww congrats!!!! She is absolutely precious and you look awesome too!! you look awesome and I am so glad you are feeling good!